The fast fashion industry is growing bigger throughout the western world. Never before has there been such a high consumption of garments in Germany. According to the Federal Statistical Office, Germans spent more than 75 billion Euro on clothing and footwear in 2017. A majority of these garments is produced in China, Turkey or Bangladesh frequently under poor conditions and then imported from there. However, this is only one side of society’s handling of fashion today. There is yet another trend – the ‘Going Green’ movement, which has become significantly stronger especially in recent years. In 2016, the trade magazine Textilwirtschaft conducted a survey that revealed that 73% of the respondents consider sustainability an important factor in their individual purchase decision. More than half of the respondents said that they would be willing to pay more for eco-friendly, fairly produced and fairly traded fashion. The desire for sustainability is not new. Already since the 1970s, fashion brands presenting themselves as sustainable and eco-friendly have been considered as positive in the fashion industry. Today, Berlin is especially well-known for its green fashion segment. 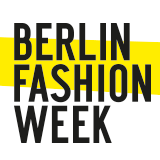 No other international fashion week has given the topic of sustainable fashion as much importance as the Berlin Fashion Week. About 140 German and international businesses and brands presented their green collections and concepts in the Greenshowroom and at the Ethical Fashion Show in July this year. One particular challenge in the field of sustainable fashion is to develop global approaches. Ideally, garments are produced in a fair and sustainable way along the entire value chain – from raw material to the final product. There are many factors to consider – from working conditions for all the involved workers and producers to water consumption in production, and the longest possible product life and reusability of materials used. Textile manufacturers focus especially on plastic waste. Today, the image of plastic material is worse than ever. Water is polluted with tiny non-biodegradable particles, so-called microplastics, that end up in the stomachs of fish and ultimately also in the stomachs of humans. In the world’s oceans, there are garbage covered areas and garbage patches caused by several millions of tons of plastic floating around the ocean. At the same time, plastic is a material much used in the fashion and textile industry. This gives rise to plenty of recycling approaches. Manufacturers such as Adidas, Patagonia and Aevor use plastic waste gained from recycled PET bottles or old fishing nets to produce new high-quality garments, shoes, bags and accessories. Ecoalf is one of the labels to join those manufacturers whose sustainability strategy is based on recycling plastic waste. In July this year, the collection produced from recycled PET bottles was presented at the Ethical Fashion Show within the framework of the Berlin Fashion Week at Kraftwerk Berlin. The founder Javier Goyeneche established the business in 2009, because he was frustrated in view of the large amounts of waste produced in western industrialised countries. His aim was to show that it is possible to produce high-quality products from recycled material just as well as from non-recycled. The Ecoalf Foundation of the same name, initiated cooperation with HAP Foundation in 2015, embarking together on the ‘Upcycling the Oceans’ project. As a result, in 28 fishing harbours in Spain, fishermen are now collecting waste from the ocean. Certain types of waste, such as plastic from PET bottles, are recycled and reclaimed to make contemporary, urban outdoor fashion, accessories and footwear. Not only plastic waste can be recycled, but also waste metals from industrial production. Julia and Steffi Gerner presented their jewellery label Fremdformat – founded in 2014 – with a stand at this year’s Fashion Week in July. For their jewellery collections, the designers mainly use industrial metals as residues in the metal working industry and raw materials supplied by locally based producers. The Zero Waste approach is adopted as early as during the design process, with the designers trying to create something new from scrap pieces where possible. All packaging is plastic free and even the web servers of the web content run with eco-electricity. Shipping is climate-neutral via DHL GoGreen. Additionally, no animal ingredients or harmful chemicals are used in the production. "The awareness of sustainability has grown in the fashion industry in recent years. The jewelry industry is just getting started to become more sustainable. The topic may be a growing part of the industry but binding norms and reliable check-ups are still missing. There ares only a few manufacturers, who produce fairly and sustainably. In our opinion, the views in general with regard to this topic need to change in this sector. ", Julia and Stefani Gerner explain. A very informative and comprehensive article on the topic of ‘Going Green’ by Flerida Regueira Cortizo and Annika Förster of Germany Trade & Invest can be found on the GTAI website at marketsgermany.com. Berlin is well-known for its green fashion segment: about 140 German and international brands presented their green collections and concepts at Berlin Fashion Week in July. Ecoalf and Fremdformat are two of them.